Antennas Direct has announced the release of the ClearStream FLEX Wireless TV Antenna and the ClearStream ECLIPSE Wireless TV Antenna. Broadcast television enthusiasts can now watch local, network programs from ABC, NBC, CBS, Fox, PBS, Univision, and many more TV channels on their smartphone, tablet, and streaming media player, and have access to new features that allow for greater freedom with their viewing habits. The release of the ClearStream FLEX Wireless TV Antenna and the ClearStream ECLIPSE Wireless TV Antenna marks the introduction of a new product category in the TV antenna market, providing wireless broadcast TV viewing on smartphones, tablets, and streaming media players. Significant software upgrades are featured in this release, including Recording and Set-A-Reminder, which alerts viewers in advance of their favorite TV shows, allowing them to watch live TV or record their show to watch later, even on-the-go, no Internet required. The free ClearStream TV app and program guide, along with easy WiFi setup, are also part of the package. The ClearStream FLEX and ECLIPSE Wireless TV Antennas connect through a home WiFi network to combine live, local broadcast TV with your smartphone, tablet, or streaming media player, anywhere in your home. These devices are compatible with Roku, Apple TV, Google Chromecast, Amazon Fire TV, Amazon Fire Stick, Kindle, and iOS and Android smartphones and tablets. The ClearStream FLEX and ECLIPSE Wireless TV Antennas will be available for purchase on antennasdirect.com and coming soon on Amazon. 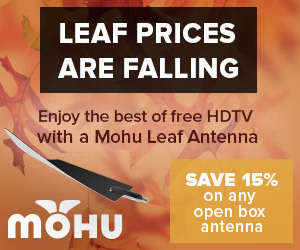 Learn more about the ClearStream Wireless TV Antennas at http://www.antennasdirect.com/wirelesstvantennas. Pricing starts at $119.99 for the ClearStream FLEX Wireless TV Antenna and $99.99 for the ClearStream ECLIPSE Wireless TV Antenna. Be the first to comment on "Antennas Direct Releases ClearStream FLEX Wireless TV Antenna & ClearStream ECLIPSE Wireless TV Antenna"